TOPAZETTE (pronounced as “Toh-pear-zert”) was founded in 2009, and revamped in 2013 with the idea of providing a more professional and fuss-free online shopping experience. They have recently shifted to a new platform that features a better layout. To make things even better, they now offer a Loyalty Program to reward customers with every purchase! 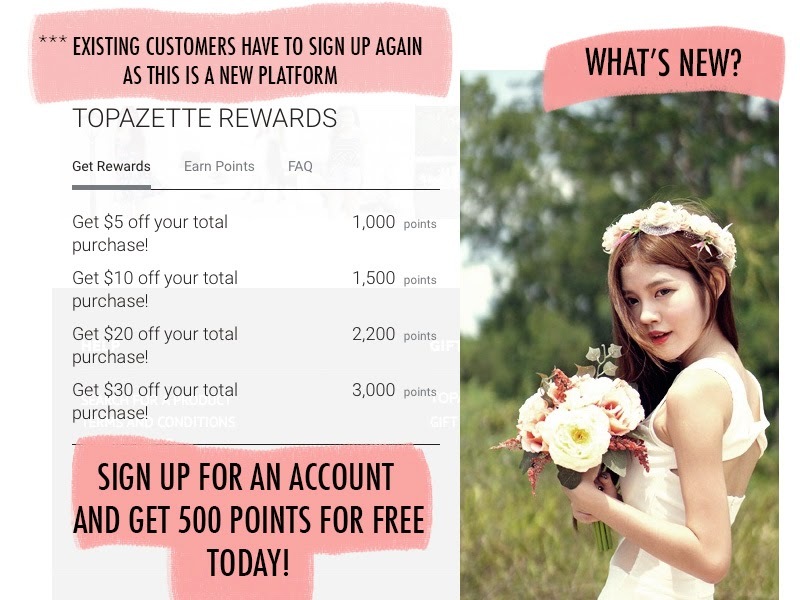 Sign up for an account now at www.topazette.com to receive 500 reward points for free. Those interested to work with Topazette as their influencers, feel free to contact Josefyn at josefyn@topazette.com. An oversized shirt is a must have item in every girl's wardrobe. They're great for throwing over when you're feeling a little lazy to dress up, and works well for almost any casual occasion. I love wearing this one from Topazette with my favourite pair of denim shorts. It's the perfect outfit for sunny Singapore, don't you think? Navy blue apparels with signature white stripes always appeal to me. Something about it reminds me of my days working in Abercombie and Fitch, I adore the varsity aura that it exudes, therefore making this crop one of my top picks from Topazette! I think it'd look extremely cute paired with a white pleated skater skirt, don't you think? Shop their new arrivals along with many popular restocked items on their website at www.topazette.com. Sign up for their mailing list as well to receive exclusive discount codes and other exciting offers!